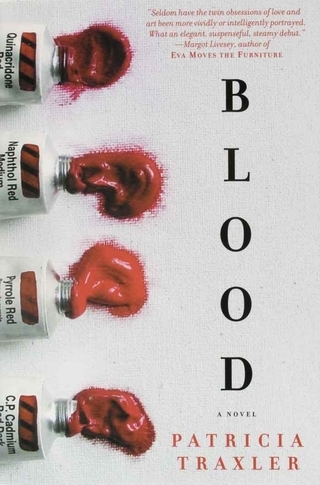 Blood was published by St. Martin’s Press in the US (2001, 2002), and in the UK by Piatkus Press (2002). Translations of Blood were published in Spanish (Sangre, Emece Editores, 2001); Swedish (Blod, Walstrom & Widstrand, 2002); and German (Blutrot, Droemersche Verlag/Knaur, 2003). It was a best seller in Latin America. "From talented newcomer Patricia Traxler comes a brilliantly written literary suspense novel about how desire can become jealousy, obsession, and finally murderous rage. Blood is equal parts auspicious literary debut and page-turner about four people whose lives become irrevocably intertwined during one year at Radcliffe College. Blood captures the reader with its opening line, 'Though it’s true there’s a killing in my story, its principal violence is, I think I’d have to say, the violence of love.'" "Traxler's language and her especially vivid descriptions benefit from her poetic abilities, while her plot and character development are also strong; a sense of loss and the quest for self-knowledge are as present here as in her poetry." "Blood is a thrilling read and keeps the suspense going right to the end, making the reader turn each page in eager anticipation." "Suspenseful and intriguing, Traxler's first novel is a fine literary thriller, eloquent on the power of desire and the dangers of obsession. 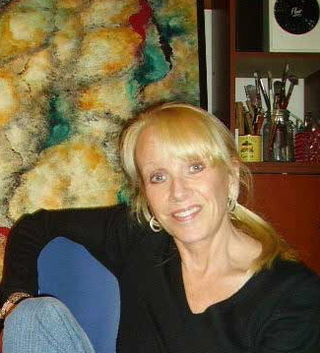 She writes vividly about the creative process, as well as observing the nuances of love, repulsion, and fear." "Some books are so good that one reads them with pleasure and then recommends and hands them along to a friend. And then there are the books that one must keep near at hand and simply cannot let go. Such a book is Patricia Traxler’s substantive novel that follows the search of one painter after love, friendship, and inspiration. Anyone who may surmise from the title that this is a detective novel is mistaken. From the start, the reader is pulled into the story by the desire and the pain--one cannot avoid it and does not want to. Take this book to bed with a good red wine, and don’t forget to unplug the phone!" Blood is available on Kindle, Nook, Apple iBooks, Google eBooks, and Borders eBooks.